FacilitiesGuests of the establishment can enjoy a wide and varied range of facilities, services and amenities during their stay. Services and facilities at the hotel include internet access and wireless internet access.RoomsAll accommodation units feature air conditioning and a bathroom. The accommodation units offer separate bedrooms. Cots are available for children. In addition, a fridge and a microwave are available. An ironing set is also available to guests. 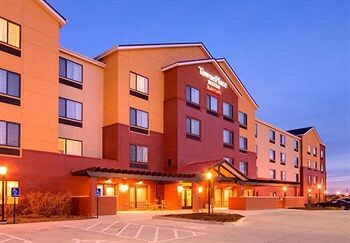 Internet access and wireless internet access are provided for guests' convenience. A hairdryer can also be found in each of the bathrooms.Sports/EntertainmentSport and entertainment options are available at the establishment. The establishment offers an indoor pool. Leisure options available to guests include a gym. MealsBreakfast is bookable as a board option.